Premier Gymnastics are currently ranked Number 3 Club in Australia for Aerobic Gymnastics and were named Performance Club of the Year the past two years in Queensland. Aerobic Gymnastics is the perfect sport for active children with energy to burn. Our talented and experienced coaches will guide your children through an action packed, dynamic sport that is fast paced and is great for developing heath and fitness. Our aerobics prep, grade 1 and 2 class is designed especially Moreton Bay College students. Our experienced and qualified coaches will engage your child through a 45-minute class for prep students and 1-hour class for grade 1 and 2 students. Students will learn the fundamental steps of aerobics, develop strength and flexibility as well as learn new skills. Aerobics also teaches excellent coordination and rhythm, as the students will learn short routines to upbeat music. Classroom collection is available for these classes. The open aerobics is a fun exciting class perfect for beginners and non-competitive athletes aged 5 – 12 years old. Our experienced and qualified coaches are highly motivated and will teach your child the basics of aerobics whilst improving flexibility, strength and coordination. This class is a fun introduction to aerobics with potential to transfer into our competitive program. The national levels 2-5 program is designed for competitive athletes. Athletes compete at regional and state level competitions and train approximately 3 – 6 hours per week, dependent on level. Athletes will be invited into one of the Aero Squads (2, 3 or 4) and will train and compete compulsory routines as individuals or in pairs or trios. The nationals level 6-7 and international age group program is designed for the more serious athlete. Athletes will be invited to train in Aero squad 1 and will train 6 – 12 hours per week. 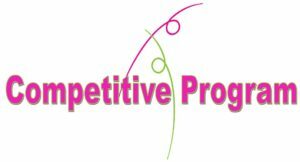 Athletes in this program will compete optional routines as individuals or in pairs or trios and will get the opportunity to compete at regional, state, national and even international competitions. Aerodance is a recently added division of competitive aerobics. Aerodance incorporates traditional aerobics steps as well as a 32 – 64 count dance break in the middle with athletes competing individually or in trios or teams. Our very experienced coaches will provide a fun and exciting class. Some aerobics or dance experience will help, however is not essential. The acrobatics class is an optional class for all Aero Squad members. We offer a junior acro for levels 2 – 4 and a senior acro for levels 5 and above. Our acrobatics classes give competitive gymnasts the opportunity to learn new acrobatic elements and improve their technique. Strong acrobatic technique is important in aerobics to be able to include impressive transitions in your routine. Acrobatic classes are held on the WAG sprung floor. The strength and skills class is an optional class open to all Aero Squad members. The strength and skills class is an additional class that will increase strength necessary to learn new and more difficult skills. Each week you will be put through a challenging yet very rewarding class.